South Tulsa Chinowth & Cohen REALTOR, Richard Acevedo works throughout the South Tulsa, Midtown, Broken Arrow, Jenks and Bixby areas. After a successful career in technical sales support for the Information Technology industry, Richard now enjoys helping his neighbors and community with all their residential real estate sales needs. 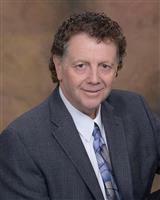 He brings his results-oriented, integrity-driven business principles to every sale. Whether a buyer or seller, Richard will always work hard for you - his ‘boss’.